Maybe you’ve heard from friends, read the articles or seen the videos. Canola, they say, is harmful. Some even claim it’s a killer. Like so many other foods — think eggs and soy — canola oil has been vilified, accused of everything from mad cow disease to skin cancer. While it isn’t perfect (we’ll get to that), canola oil has been of the subject of much misinformation. The federal government regards it as safe to eat and has even granted it a qualified health claim. Researchers say it has some health benefits. It would be easy to dismiss the canola skeptics as cranks, but the ongoing campaign against canola oil is illuminating. If ever there was a food seemingly designed to invite fear and disdain, it is canola. Perhaps canola oil can teach us a few things about the way we perceive food. 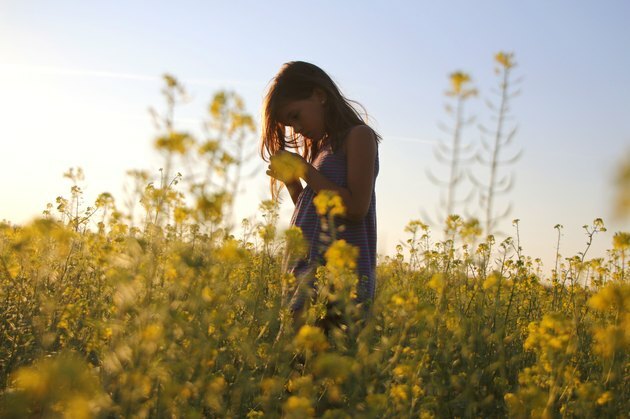 The canola plant — a member of the Brassica family, which includes broccoli, cabbage and cauliflower — is a domesticated rapeseed-oil plant that has been bred to improve its taste and nutritional content. It is bright and yellow-flowering in the field and is grown primarily in Western Canada. Canola gets its name from “Canadian” and “ola,” which means oil. The Western Canadian Oilseed Crushers Association named the plant in the 1970s. Here lie the seeds of mistrust. The canola plant is not a plant that occurs naturally in the wild. On top of that, canola was named by a faceless group of food manufacturers. And it’s from another country. In other words, canola is a GMO from Big Agriculture that comes from a foreign land. 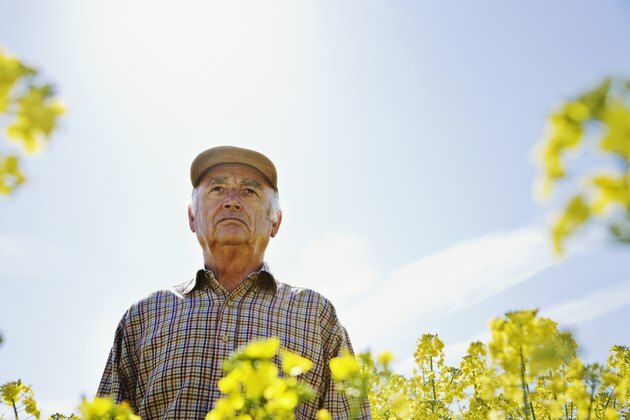 “For those who believe Big Food and Big Agriculture’s sole purpose is to poison us all, canola oil is suddenly a food product of which we should all be suspicious. That’s too bad for those trying to stay on a healthy diet,” says Julie Gunlock, author of "Cupcakes to Chemicals: How the Culture of Alarmism Makes Us Afraid of Everything and How to Fight Back." There are many myths about canola oil. The ones that probably get mentioned most were spread in an email that went viral in the early 2000s. The anonymous email directly claims or strongly insinuates that canola oil is “toxic to humans and other animals,” “poisonous to living things,” “is not a food,” “causes emphysema, respiratory distress, anemia, constipation, irritability and blindness in animals and humans,” is responsible for mad cow disease, is an ingredient in mustard gas, causes a rare fatal degenerative disease, causes spikes in cholesterol, causes cancer, stains cloth and—no kidding—makes children’s arms split open with a butter knife. The claims in the email were addressed years ago by Snopes and Urban Legends. Urban Legends writer Peter Kohler traced some of the misinformation in the email back to a 1997 book called "Young Again: How to Reverse the Aging Process." In the self-published book, which author John Thomas uses to hawk his products, the author claims that “medical science asks the wrong questions and generates useless answers.” Thomas wrote that he was encouraged to publish the book “because he does not age.” It is unknown if the author is alive or dead (which, it should be noted, is the ultimate form of not aging). A phone call to a Washington state phone number listed in the book went unreturned. Is Canola Oil Safe to Eat? Not all of the claims against canola are extreme. Some are voiced by well-meaning experts, bloggers and commenters. Some of their concerns are legit. The following questions come up most often. Is canola oil safe to eat? In 1985 the Food and Drug Administration (FDA) labeled canola “GRAS,” or “generally regarded as safe to eat.” In 2006 the FDA granted canola a valuable “qualified health claim” because of its ability to reduce the risk of coronary heart disease through its low unsaturated fat content. What about the erucic acid in canola oil? Because it contains high amounts of erucic acid, rapeseed oil was banned in 1956 by the FDA. The presence of glucosinolates, which depress animal growth, also kept demand for rapeseed meal low. 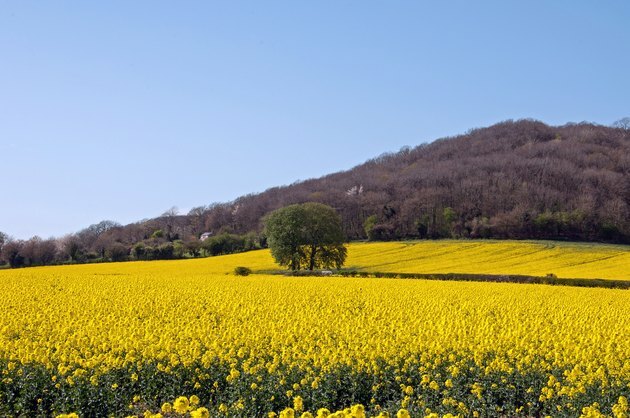 In the early 1970s plant breeders created low-erucic acid rapeseed (LEAR) varieties that were low in glucosinolate. LEAR plants are now grown in Canada, the United States, Europe, India, China and other nations. But isn’t canola less healthy than other oils? One of the reasons canola oil is so popular is that it has a low percentage of saturated fat, is free of artificial trans fats and contains healthy omega-3 fatty acids. There are healthier oils, such as extra virgin olive and flaxseed, but they’re not as popular in the marketplace. But it’s a GMO, which is bad, right? Every independent scientific body that has evaluated the safety of biotech crops has found them safe for human consumption. 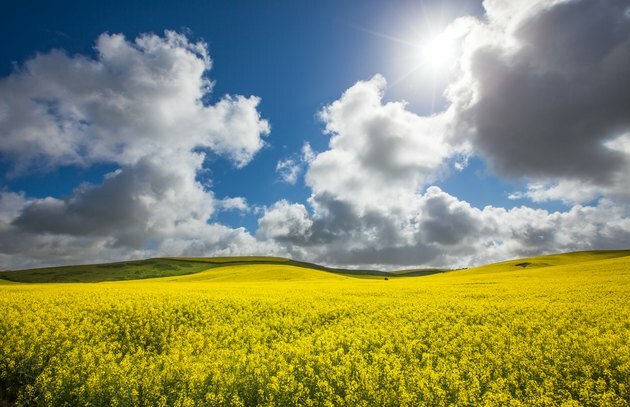 According to the Canola Council, about 80 percent of the canola grown in Canada is modified using biotechnology that makes it tolerant to some herbicides. The Canola Council says that using specific herbicides has reduced the amount of chemicals needed for weed control in the fields. If you’re concerned about GMOs, choose an organic canola oil. There are a few brands on the market, including Spectrum and Flora. OK. But canola is also an industrial lubricant. Should we really be eating the same stuff they use in factories? Canola oil is used for industrial purposes because it is a good lubricant, is biodegradable and has high oxidative stability. 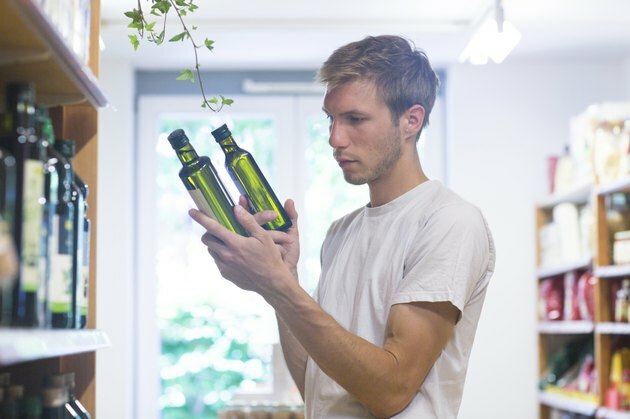 Other cooking oils, such as olive oil, are also used for industrial purposes. Canola is hardly an outlier. Doesn’t the production of canola leave behind the toxin hexane in the oil? Let’s talk about that. Extraction of oily fruits such as palm or olive involves pressing. Extraction of seeds like canola is achieved by pressing and/or solvent extraction with hexane. Chemist Frank Gunstone, a renowned lipid expert and the author of "Oils and Fats in the Food Industry," says he does not consider the levels of hexane that remain in solvent-extracted oils to be significant. If extracted oil still contains traces of hexane, it will not affect fatty acid composition (i.e., the nature and proportion of fatty acids present), but it will reduce the amount of these acids by a very small and insignificant quantity, adds Gunstone. A 2013 review out of Canada published in the journal Nutrition Reviews looked at the health effects of canola oil. This analysis of previous research examined the effects of canola oil consumption on coronary heart disease, insulin sensitivity, lipid peroxidation, inflammation, energy metabolism and cancer cell growth. The peer-reviewed study’s findings no doubt pleased the canola industry, which paid for the research. University of Toronto nutrition professor Richard Bazinet, who is an independent researcher and is not affiliated with the canola industry, calls canola a good choice for everyday use because of its omega-3 fatty acid content. Flaxseed and some other oils have more omega-3s, says Bazinet, but they are less popular. Canola also has a fair amount of oleic acid, which is also found in olive oil and is linked to heart health. Penn State University distinguished professor of nutrition Penny Kris-Etherton teamed up with Canadian researchers in 2013 to investigate canola oil’s effects on cardiovascular risk factors and abdominal fat. They discovered that canola oil and high-oleic canola oils lowered abdominal fat when used in place of other selected oil blends. A reduction in abdominal fat reduces metabolic risk factors. The study, which was presented at the American Heart Association’s EPI/NPAM 2013 Scientific Sessions and published in the AHA journal Circulation, was funded by the Canadian government and the canola industry. The backers had no say in the analysis or reporting of the data, which is standard practice in the world of research. Kris-Etherton calls canola “a very healthy oil.” As a cardiovascular nutritionist, she likes that it’s low in saturated fat. According to the American Heart Association, less than 7 percent of an individual’s calories should come from saturated fat. The average American’s diet is 11 percent saturated fat. 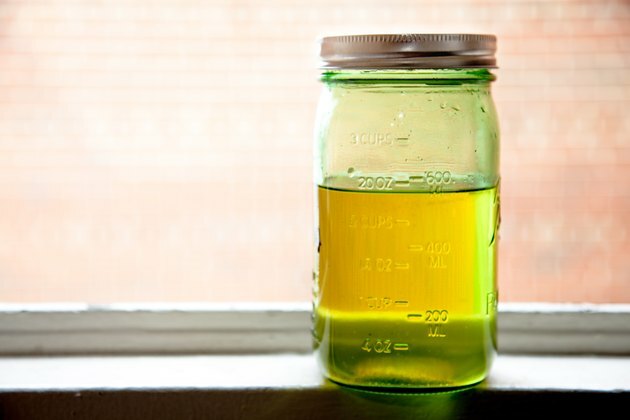 “We have to cut saturated fat in half, and this is one oil that I think is very good,” says Kris-Etherton. Besides the fact that it’s a GMO and made by Big Agriculture, canola probably comes in for steady criticism because it had an auspicious beginning when the FDA banned rapeseed oil in 1956. Nutritionists and dietitians run the gamut when it comes to canola oil. Some avoid it. Some cook with it. Washington, D.C., dietitian Jen K. Reilly bakes with organic canola oil every week. Napa, California, nutritionist Cate Shanahan advises clients to avoid canola for the reasons they should avoid trans fats. The process in question is called lipid peroxidation. The Canola Council disagrees. It says canola’s “smoke point,” which is the temperature at which cooking oil seriously decomposes, is 468 degrees Fahrenheit for regular canola and 475 for high-oleic canola. “You can cook as long as necessary for any dish with canola oil due to this high heat tolerance,” says Canola Council spokesperson Angela Dansby.